I am only in the parish for what people around here might say is only a wet day, but already one of my photographs has made the front cover of this month’s [February 2017] edition of Newslink, the magazine of the United Dioceses of Limerick, Killaloe and Ardfert. This monthly magazine is edited by Joc Sanders, and the deadline for the February 2017 edition passed on the very day I was being introduced to my new parish [20 January 2017], so I did not even manage to even write my own notes in my first month in the parish. My first service in these parishes was in Castletown Church, near Pallaskenry, and after I had blogged about my adventures getting there on my first Sunday morning, Joc decided to use my photograph of the church on the front cover of Newslink this month. 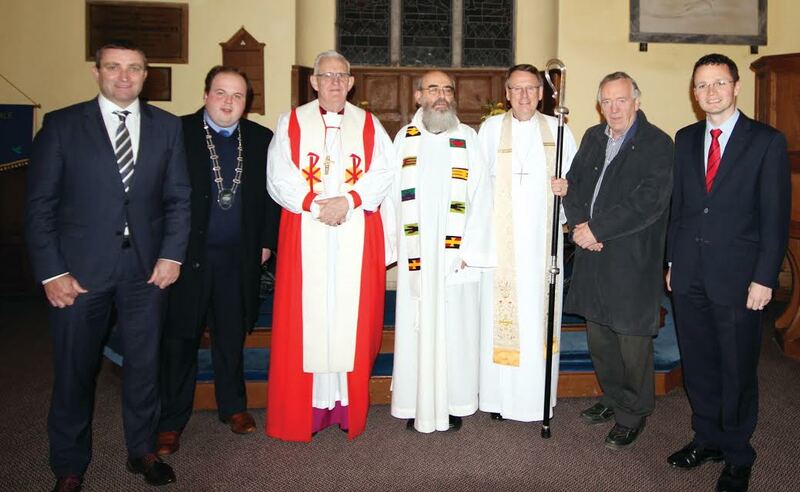 A Service of Welcome for Revd Canon Patrick Comerford as Priest-in-Charge took place in Holy Trinity, Rathkeale, on Friday 20th January last (see report on page 21). The preacher was the Most Rev Dr John Neill and was very well attended. Refreshments were held in Cappagh Community Centre where the tables were laden with plenty of tempting treats prepared by the parishioners. We look forward to having Patrick and his wife Barbara living in the Rectory and to his ministry among us. 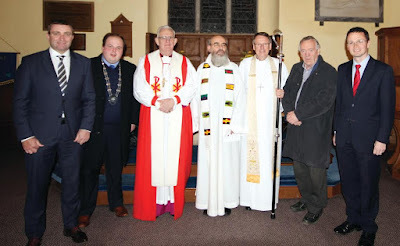 The parishioners of Rathkeale and Kilnaughtin heartily welcomed Canon Patrick Comerford as their new priest-in-charge at a service in Holy Trinity Church, Rathkeale. The service was conducted by Bishop Kenneth Kearon, and the preacher was the Most Revd Dr John Neill retired Archbishop of Dublin and Glendalough. The hymns for the occasion were specially chosen by the new priest-in-charge and the church was filled with joyful singing. Patrick’s appointment to this part-time ministry is a great encouragement to a widely dispersed congregation, from Tarbert/ Listowel to the borders of Adare parish. He will be sharing his ministry in Rathkeale with a part-time role as director of education throughout the diocese. Editor: The Newslink team extends a warm welcome to Canon Patrick in his ministry among us, and to his wife Barbara. Patrick will through his teaching and supervision responsibilities within CITI for both residential and non-residential programmes in a part-time capacity over the remainder of this academic year and will leave CITI in the spring of 2017 to commence as Director of Education and Training in the United Dioceses in April. Bishop John Neill reflected in his sermon on the changing role of ministry: new patterns must emerge, and one size does not fit all. Ordained priests have a vital role to play, both as enablers – discerning the gifts of others, rather than doing everything themselves, and as icons – drawing people into the mystery of faith and encounter with the divine. 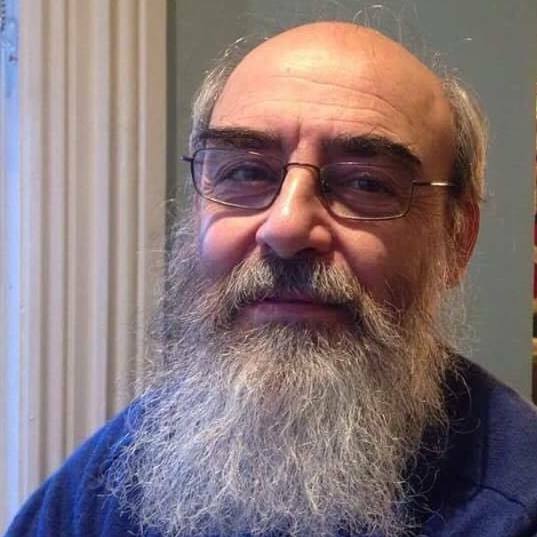 Patrick, as a man of the Gospel, brings to his ministry wide and unusual gifts, among them profound knowledge of the Church of Ireland, Anglicanism, journalism, the Orthodox tradition, and Islam, as well as concern for the poor, marginalised and suffering. The Rt Revd Dr Kenneth Kearon has appointed Canon Patrick Comerford to a joint position in the Diocese of Limerick and Killaloe with effect from January 2017. Canon Comerford will be both Director for Education and Training in the diocese and also priest-in-charge of Rathkeale Group of parishes. He took up his parochial responsibilities on January 20. Canon Comerford will see through his teaching and supervision responsibilities within the Church of Ireland Theological Institute (CITI) for both residential and non-residential programmes in a part-time capacity over the remainder of this academic year and will leave CITI in the spring of 2017. He will commence as Director of Education and Training in the diocese in April. The Director of CITI, Revd Canon Dr Maurice Elliott, commented, “Patrick has been a loyal colleague within first CITC and then CITI since 2006. Prior to that he was a visiting lecturer for a period of four years. Over my time of working with him I have come to appreciate his professionalism, his personal warmth, his strong faith and his engaging sense of humour. He and Barbara have made a very significant contribution to the ministry and community life of the Theological Institute. As Patrick now prepares to move towards a very different sphere of pastoral duty I join with other staff and students in wishing him and Barbara every blessing for fruitfulness and fulfilment”. As Chair of the Governing Council, the Archbishop of Dublin, said, “Canon Comerford has served the Church of Ireland in a wide variety of capacities throughout a career which has concentrated on communication and engagement with a wide array of ideas and situations at home and abroad. Most recently he has applied these talents in the life of the Theological Institute. I welcome his appointment by the Bishop of Limerick and Killaloe to a fascinating and responsible new role and wish him and Barbara everything that is best as a new phase of life unfolds for them and for others”. The Bishop of Limerick and Killaloe welcomed the appointment. “Rathkeale Group of Parishes is a warm and welcoming parish and I know Canon Comerford will be happy there. We’ve long had a need for a focus for education and training in the diocese, and Canon Comerford’s vast experience in this regard will be invaluable. 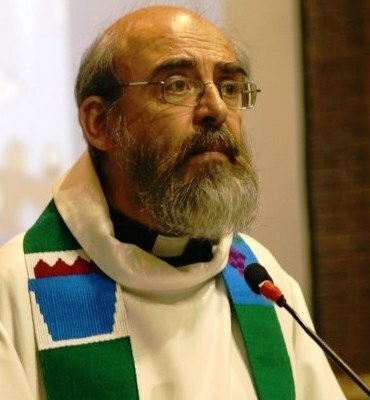 I look forward to welcoming him and his wife Barbara to the diocese,” he said. Canon Comerford has had a long history of service within the Diocese of Dublin and Glendalough. He was a canon of Christ Church Cathedral, a member of Diocesan Synods and Diocesan Councils. He has also been a long standing and much loved contributor to the Church Review by way of his monthly columns. Barbara has also contributed to the life of CITI and Christ Church Cathedral. Many congratulations and good wishes with a tinge of sadness are extended to Canon Patrick Comerford as he takes up his new position as part time Rector of the Rathkeale and Kilnaughtin group of parishes and part-time education officer for the diocese of Limerick and Killaloe. Patrick has served on the cathedral chapter since 2007 and during his tenure has served on the cathedral board for six of his nine years in office. Patrick has contributed a huge amount to the life and ministry of the cathedral, not least in his gifted sermon ability which he shared not only on his two canonical preaching entitlements but also many times throughout the year. He and his wife Barbara made the cathedral their spiritual home both of whom supported the liturgy of the cathedral in so many ways on Sunday mornings and at major festivals. Patrick will be sorely missed by the cathedral community. We wish Patrick all good wishes in his new post and look forward to many blogs from rural life in West Limerick. Whilst Patrick Comerford will always be a ‘home grown’ product of St Maelruain’s, Tallaght, following ordination he very happily served his curacy years here. We wish Patrick every blessing, as he has just been welcomed on 20 January as priest-in-charge of Rathkeale and Kilnnaughtin Group of Parishes (Diocese of Limerick). One feature of Patrick’s ministry during his time here that struck this particular scribe was – the quality and the texture of his sermons. He always made the listener ‘think again’ – to see everything and everybody in a fresh and different way, because of the now incarnate values of the Kingdom of God on earth.